The channel wants the president to refute his statement and 1m hryvnyas as compensation. One Plus One Studio TV and Radio Company Ltd. has filed a lawsuit with Kyiv's Pechersky district court against Ukrainian President Petro Poroshenko and Media-DK (Novoye Vremya website) Publishing House Ltd. According to a press release shared by One Plus One, the media group is asking the court to recognize as untrue a number of information statements which Poroshenko made on the air of NV Radio on 10 April. It wants him to refute them during seven days after a court verdict takes effect. The media group also wants Poroshenko to compensate 1m hryvnyas (about 37,000 dollars) in moral damage. It insists that Poroshenko's interview "creates a false impression with Ukrainians that the TV channel's information activity is negative, non-objective and biased". 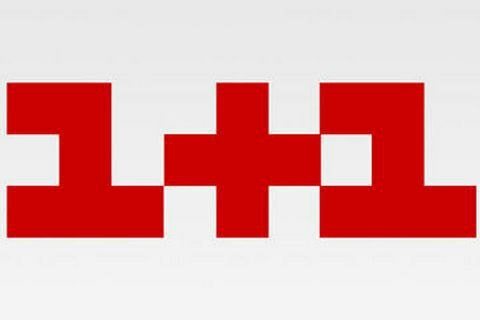 "This negatively affects the business reputation of One Plus One Media Group, which it has been building for years, undermines the authority and trust in information activity, humiliates the media holding in the eyes of the audience and partners, including international ones," the media group said in a statement. In the interview with NV Radio, Poroshenko said, in particular, that the channel had turned into the "main instrument for spreading lies" and an "obedient performer of its owner's political orders". Earlier, both parties threatened to sue each other for various reasons.